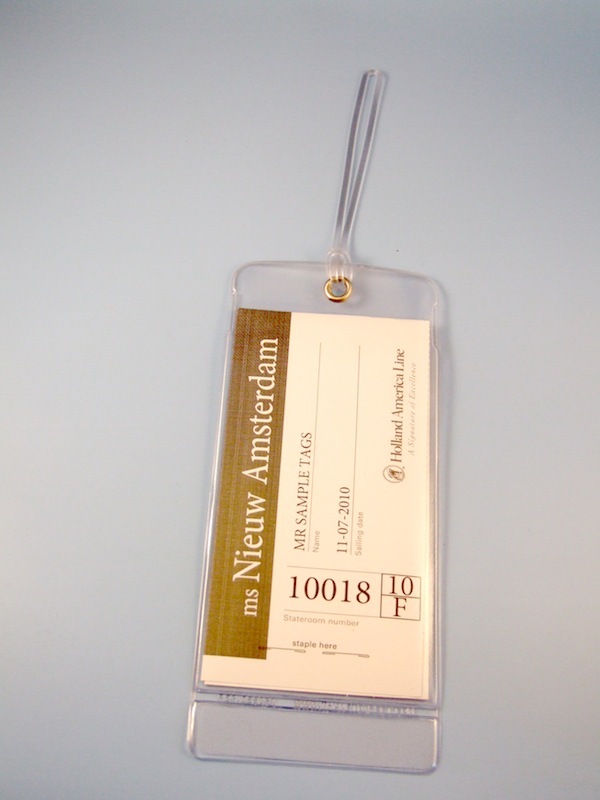 Keep your luggage tag secure and dry using our wallet holder. This is made from strong clear vinyl, reinforced with a metal eyelet making it rip proof. It can be read from both sides and comes complete with a 150mm vinyl loop. 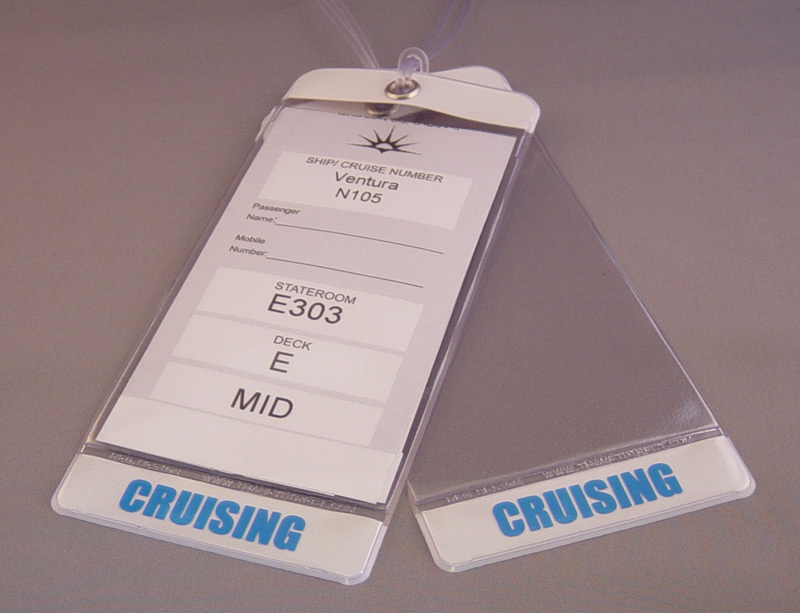 Cruise E-Tag Luggage holders are registered designed products and are all made to take A4 and AQ paper sizes when folded for your printed E-ticket. They can be used over and over again, never again will you have to use sellotape or a stapler when printing off the E-tickets for your trip. No more stapling or sticky tape or laminating. Just fold up your printed downloaded e-ticket and insert them into your wallet and look forward to a pleasant cruise. 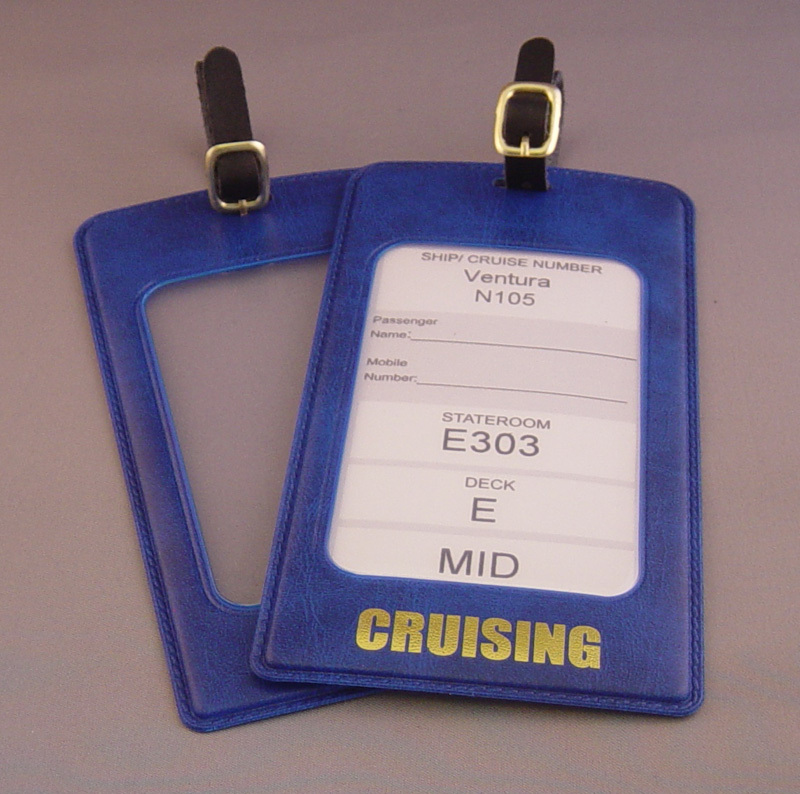 These luggage tag holders are suitable for use with Carnival cruises, Princess Cruises, Costa Cruises, Holland America Cruises, P & O Cruises, Norwegian, Royal Caribbean, Regent Cruises, Seabourn Cruises and many more. Please note these can be recycled when they reach end of life. So please do not throw into landfill but put into plastic recycling or send them back to us and we will recycle them for you.